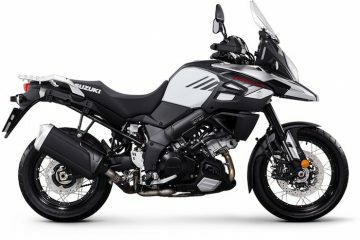 I was talking to an experienced motorcycle guide recently about why his company uses Suzuki V-Strom 650s on some of its most extreme tours around the world. The reasons were simple. They are tough, reliable, fun to ride and parts are easy to source if you need them. 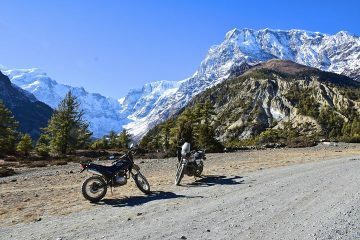 They had tried using different models of bike, but unlike the V-Strom, they couldn’t handle the regular pounding they received from poor quality roads in remote areas. Blown fork seals were a particular issue. 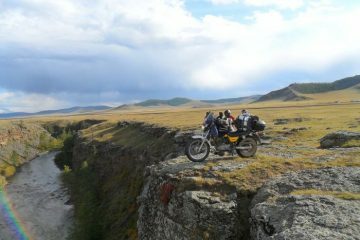 His experience echoes our own here at Adventure Bike Rider. We’ve had a Suzuki V-Strom 650 in the family for almost nine years which has clocked up more miles than any other bike we’ve had the pleasure of riding. The only issue we had was a burnt-out clutch caused by towing a Yamaha 660Z Ténéré with a snapped chain up a mountainside. We’ll forgive the V-Strom for that. 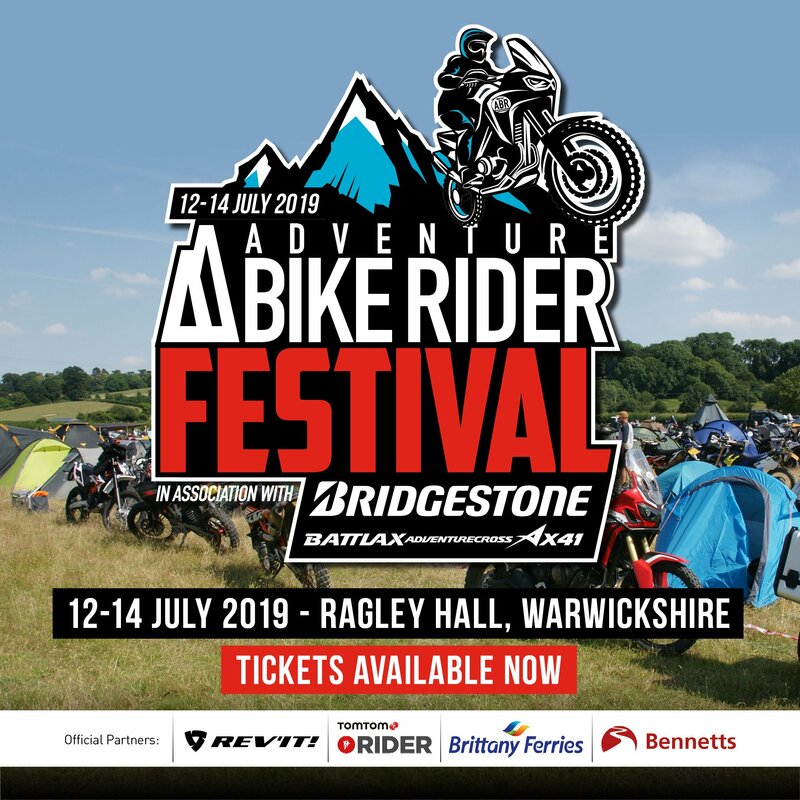 Our heads may have been turned by more exotic adventure bikes to pass through the ABR fleet, but we still wouldn’t hesitate for a moment to pack up the V-Strom 650 and head off across Europe for days or weeks on end. As proud V-Strom owners, we don’t care it isn’t the most glamorous bike in the adventure world. In fact, we like the way it isn’t ostentatious, instead taking muted styling cues from the legendary Suzuki DR Big. The V-Strom 650 has a strong and loyal following worldwide, but I’m sometimes surprised I don’t see more of them lining motorcycle bays up and down the country. 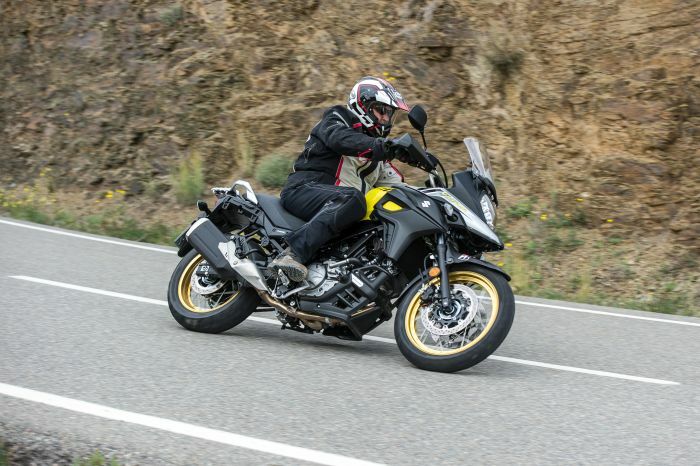 If you are considering a new bike purchase at the start of the riding season here in the UK, this is why we think the Suzuki V-Strom 650 would be a smart choice. 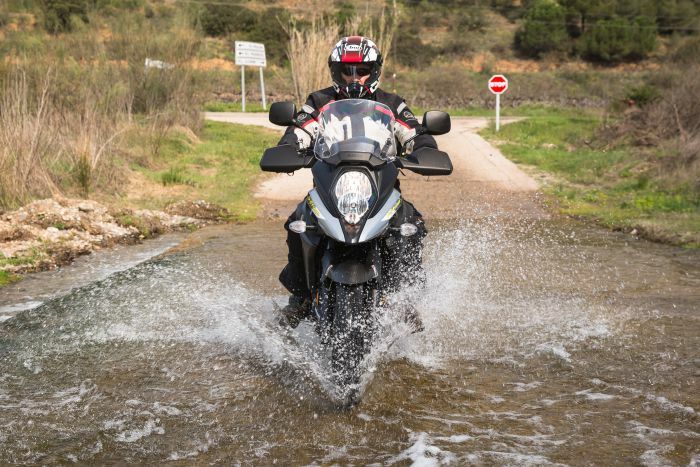 Along the side of the V-Strom 650 are the words ‘adventure, sports, tourer’. This may sound like Suzuki’s marketing team are attempting to appeal to all in describing their mid-weight adventure bike, but the tagline reflects the versatility of the Strom perfectly. For me, this ‘can do’ attitude is the V-Strom’s biggest selling point. It’s a relaxing and comfortable bike to ride that makes for a fantastic commuter. At 850mm, the seat is low enough for someone of average height to put both feet on the ground, which is a godsend when you’re wiggling in and out of traffic on busy stop-start city streets. There is also more than enough power to allow you to keep up with larger bikes in the twisties, aided by the bike’s good handling. 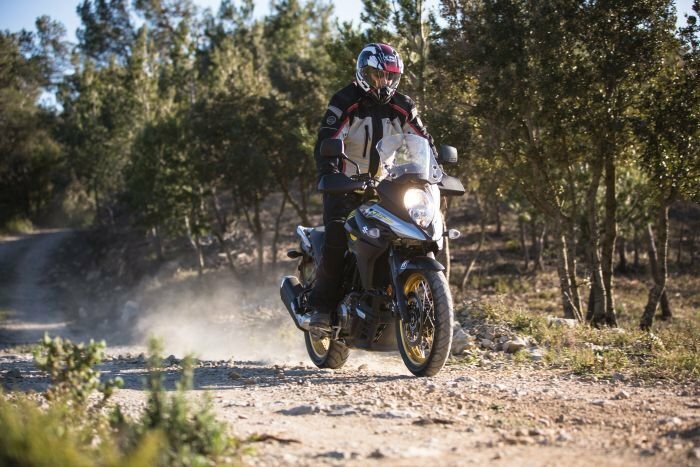 And while it’s clear the V-Strom 650 isn’t a dedicated off-roader, it’s a relatively lightweight adventure bike (216 kg) that will take you along forest trails and gravel roads with ease. 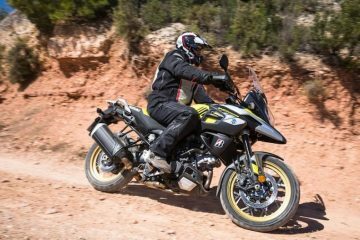 Ok, so touring ability is linked to the V-Strom’s versatility, but it’s an important attribute for many of us who buy adventure bikes with dreams of summer tours across Europe and beyond. That mid-sized 650cc engine may put some off, but it shouldn’t. 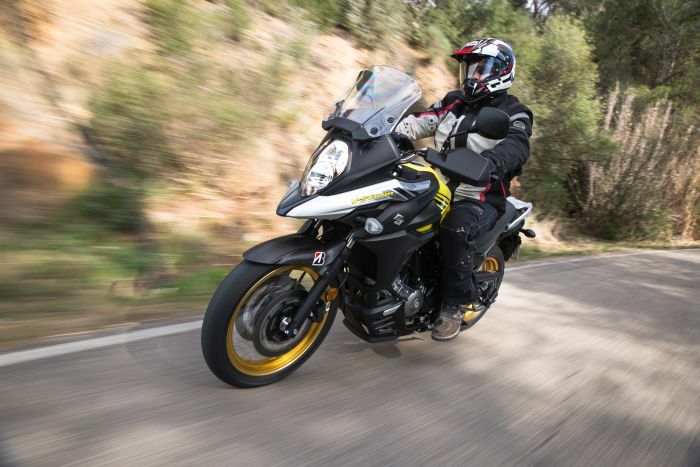 Granted, it won’t provide the same, relaxed, high-speed touring experience as a 1200cc adventure bike, but its 71 bhp engine is more than capable of shifting you, your luggage and a pillion well beyond the speed limit over long distances. From £7,499, you can ride away with a showroom new bike ready to take you on an adventure. 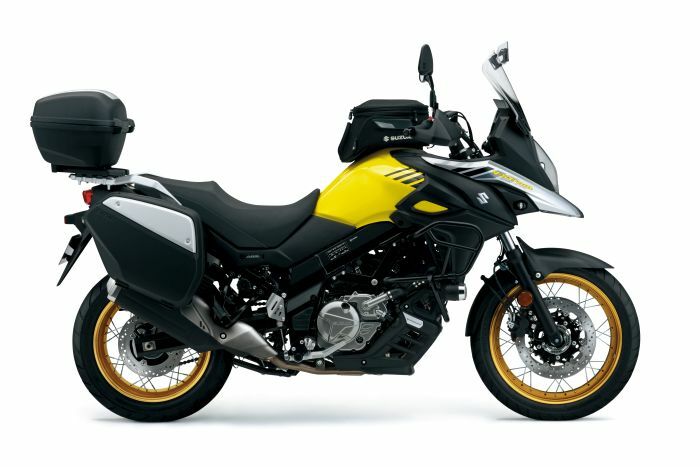 In fact, the V-Strom 650 is one of the most competitively priced adventure bikes on the market. 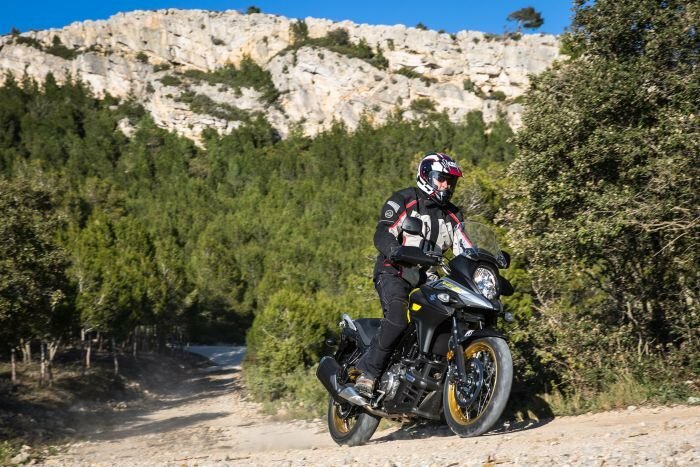 At £8,999, the top of the range V-Strom 650XT comes fitted with a full set of aluminium luggage, tubeless spoked wheels, hand guards, and a bash plate. That’s incredibly good value for a bike so capable. 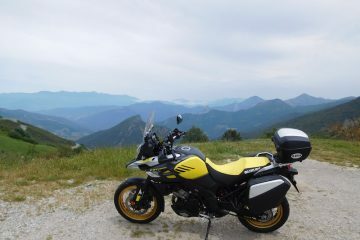 And the V-Strom 650 is relatively frugal. The 20-litre tank will give you around 240 miles between fill-ups. The V-twin engine found inside the Suzuki V-Strom 650 has been around for a long time. It’s been tweaked and revised over the years, but remains reliable, torquey and fun. 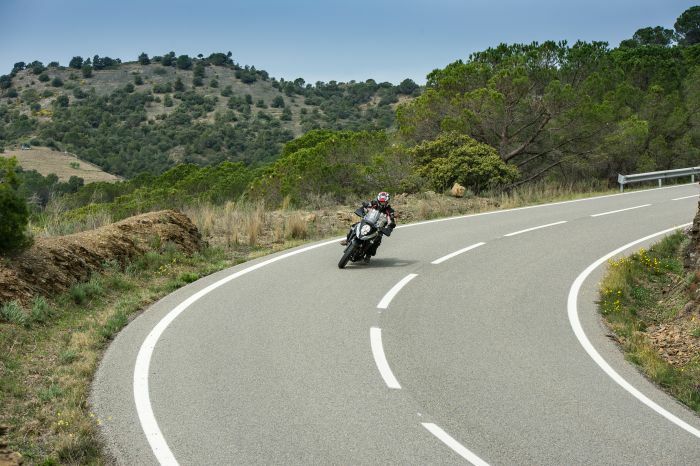 That reliability is key to the V-Strom’s popularity throughout the world. It may not be the most exotic of bikes crammed full of the latest electronics and rider aids, but it is unlikely to let you down. 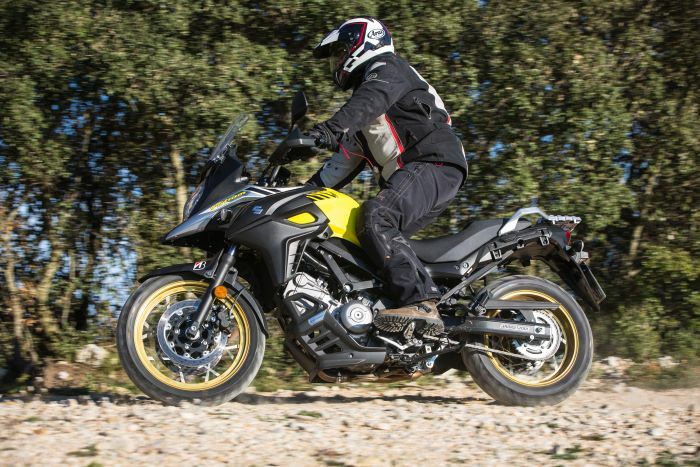 For many of the reasons above, the V-Strom 650 is an ideal first step into the adventure bike world. Although if you’re anything like us, you may end up keeping yours for many years. Its low seat height, relative lightweight, friendly power delivery, and easy handling make it a very accessible bike for new riders. 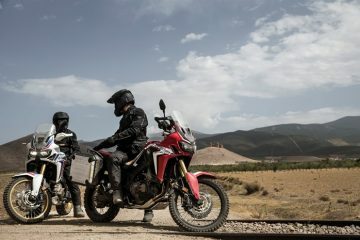 But these attributes also make it a flexible daily steed for more experienced riders, and those returning to biking who may not want the fierce power or heavy weight of larger adventure bikes.